The Milan Design Week 2018 ended on Sunday April 22nd. It is an appointment among the most engaging for the city of Milan. This year many new design districts have been inaugurated and located in every corner of the metropolis. The events proposed to visitors increase exponentially every year, launching a huge challenge to the organizers of the Milan. 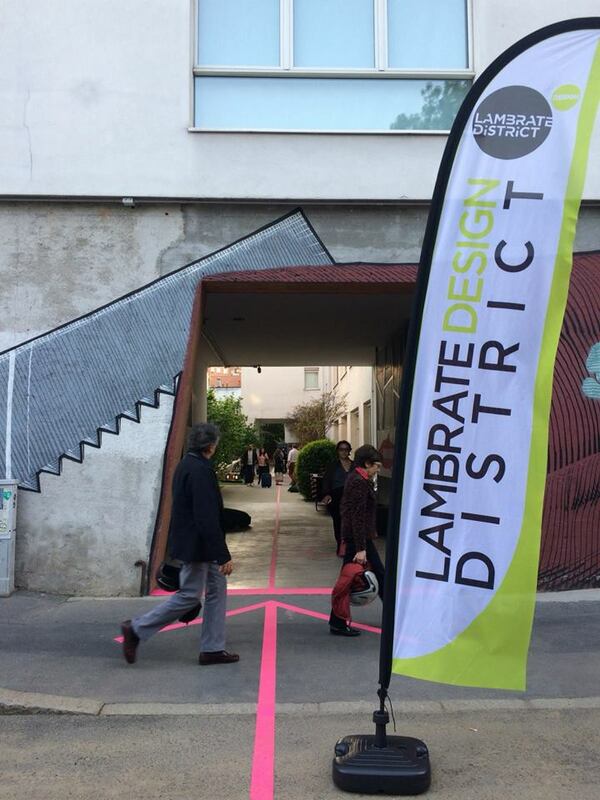 The Lambrate Design District has distinguished itself in this Fuorisalone 2018, attracting many visitors, especially journalists and experts of this field, presenting events and quality products. 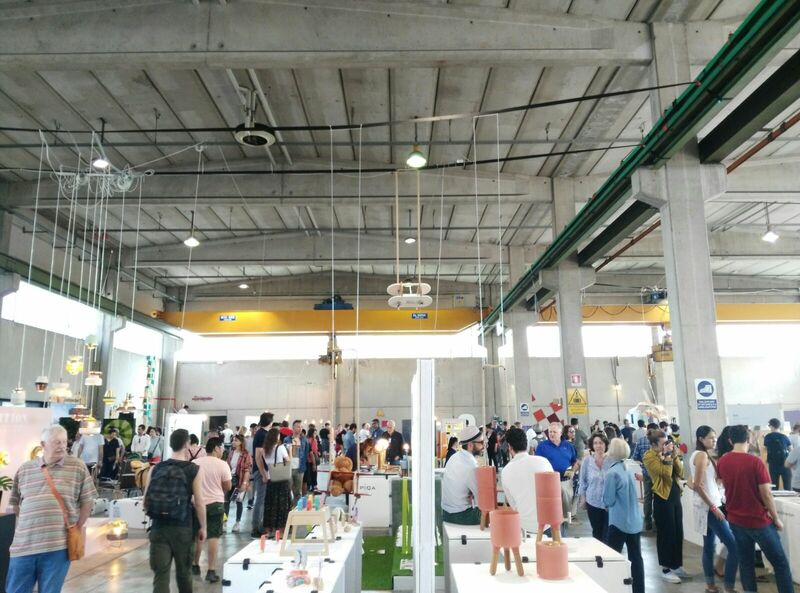 More than 13 thousand square meters of the 14 locations in the district, for a total of 300 exhibitors including 130 companies, 115 designers, 45 artists and 10 design academies. The Lambrate Design District, located in the suburbs north-east of Milan, wanted to make its non-central position its strenght: all visitors and enthusiasts have reached the locations between Via Massimiano and Via Ventura because they are really interested in the projects on display. To Prodes Italia Fuorisalone 2018 represents the year zero, as for the first time the company managed the communication of the entire district. "It was not an easy challenge - explains Enzo Carbone, Prodes Italia's administrator - because the work done so far by the previous organization was excellent. 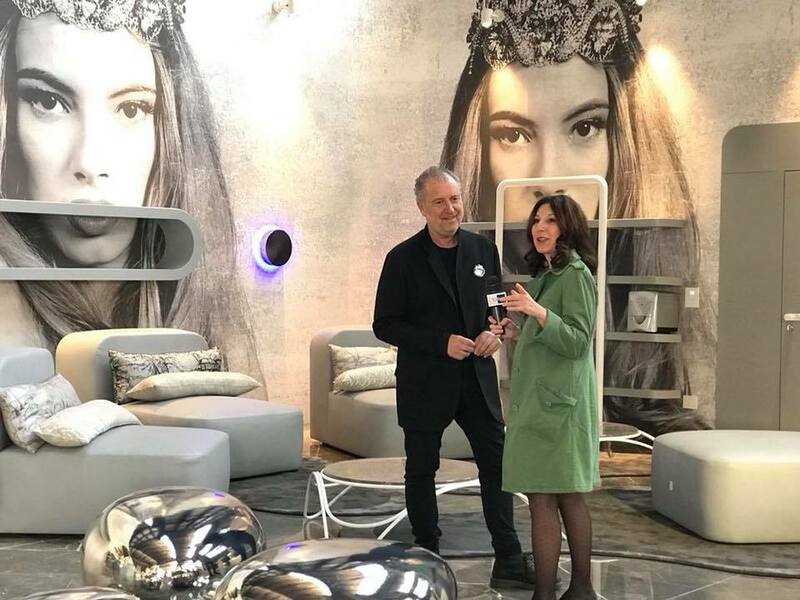 To us this Fuorisalone has been a great achievement, we have attracted the interest of many experts in the sector, presenting events and quality products, and we are already working for the 2019 edition to acquire more and more locations and exhibitors." The central theme of the district was certainly the innovative italian and international design products presented by the group exhibitions of Din - Design In 2018 organized for the sixth consecutive year by Promotedesign.it, Spazio Donno with DesignCircus by Stefano Epis and Fuorisalmone by Emanuele Pezzotta. The products presented range from light design to furnishing, up to the accessories for the kitchen and home furnishing accessories. However, the space dedicated to innovation could not be missing, with experimental projects of schools and design organizations. Among these NID, the New Institute of Design, Paula Chacartegui, a student presented by IED BARCELONA, Academy of Arts, Architecture and Design in Prague and Academie Artemis in Amsterdam. Six students of the Artemis Academy have provided visitors with a visual interpretation of great impact, investigating the most important developments in society and showing how these can take shape in innovative solutions. Acoustic Caves, a project presented by the Czech Academy, which aims to explore and test architectural limits. Five exhibited works questioning the possible interpretations of the building, of the space and of the architecture, through seven differentiated examples that change according to the architectural typologies and the current methods of computational design. NID, Nuovi Istituto di Design of Perugia, proposes two different projects. CLAYSTATION, where the Umbrian ceramic tradition becomes experimentation through an installation that comes from a transversal study on the potentialities of terracotta and a deepening of the relationship between form and sound, and WASTED Rebel Object, a project that collects items of objects intolerant to their alienated and anonymous condition. 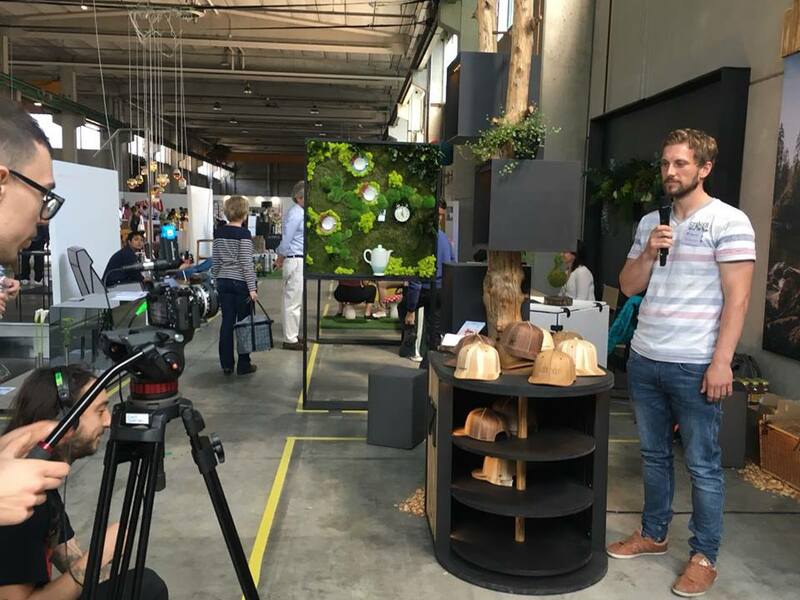 Two projects were awarded in the Lambrate Design District: Rootpecker’s wooden caps by Sebastian Stumpel, who won the Reddot Award 2018, together with Progetto99 by Niccolò Garbati presented in SpazioDonno Design Circus, who with his wireless technologies combined with marble is among the selected designers of the Young & Design Award 2018. The projects presented in collaboration with the European Union have attracted great interest: on the one hand, the LUMENTILE concept, born from a research project of the European Commission H2020, whose aim is to develop a bright and intelligent tile that, inspired by the classic ceramic tile, is enriched with electronics that allows new features. On the other hand, BaltSe@nior, which with a 3D Age Simulator allows visitors to feel the limits of an elderly body and therefore develop an empathy and a better understanding of the elderly users. The aim of the project is to offer the user the most emphatic vision possible in the world of the elderly and consequently facilitate the process of inclusive design, having in mind that the instrument had to be as simple, economical and usable as possible. 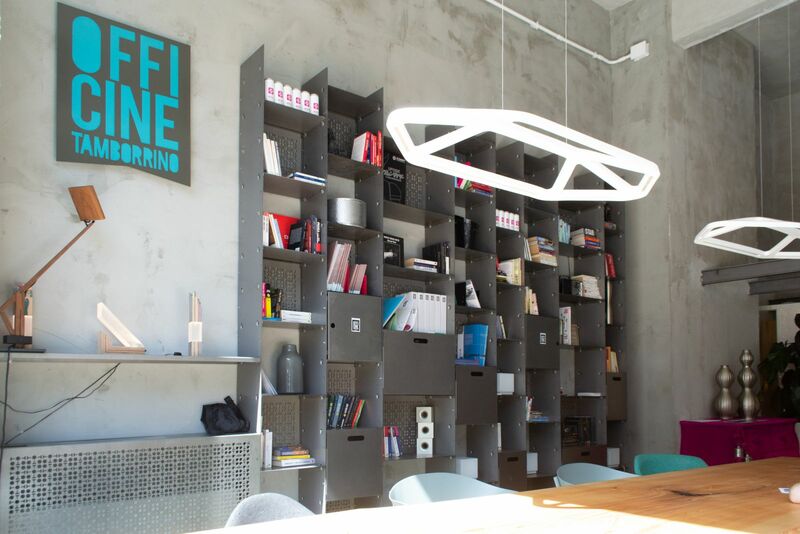 Important is also the space dedicated to international design organizations, who have exhibited their excellence at the Lambrate Design District. Czech Design Week presented the products of the three most talented designers selected from the week of Czech design: 440 AUDIO, Dominika Petrtylova and Kristyna Mikolaskova. It also offers its excellences KPD, a Russian designer collective that offers innovative and international crafts products, starting from their symbol, the image of Nevalyashka. Interesting is the selection of technological objects from the Smart Home world presented in Spazio Donno by Design Circus, which demonstrate how to easily make the various home appliances dialogue and manage the security of the apartment with just a few clicks. Fuorisalmone, in its lofts in Via Massimiano 25, presents to the public the products of Geomag, Libroom, Elena Valenti and La Chaise Folle. Surprising is Manta, the pool designed by Botany Bay, made of structural fabric that, instead of letting the water slide, collects it allowing bathing. The structure consists of the external sheet, stainless steel fasteners, the supporting frame and the floating wooden floor. What distinguishes Manta is the versatility and ease of assembly. Also present is STUDIO CR34 with the Intro event, which is the first exhibition of furnishing accessories designed by StudioCR34 and produced by two emerging artisan companies. These elements represent not a style but a design method adapted to two materials, glass and wood. The realizations are presented in two areas of the office, adapted to the exhibition environment. Studio CR34, located in via Conte Rosso 34, already boasts many international collaborations with world-renowned architects. The protagonists of the event are Roberto Di Stefano, Alessandro Bongiorni and Ettore Vincentelli. 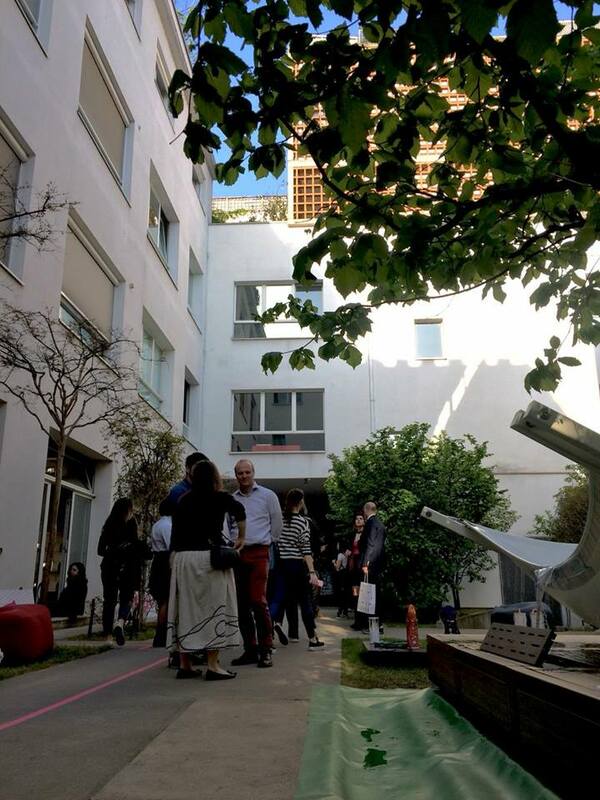 The Lambrate Design District has also focused its attention on the Contract world this year, thanks to the two hugely successful events organized by architect Simone Micheli in the neighborhood. Micheli gave life to two exhibitions: Hotel Regeneration at the Officina Ventura 14 and The precious apartment in Puntaldìa at Simone Micheli studio - gallery. Hotel Regeneration has been confirmed as the largest event-agora until now realized for the Milanese events in the contract field, in collaboration with Tourism Investment, PKF hotelexperts & AboutHotel, presenting to the visitor many split of rooms dedicated to hospitality. Each section, signed for the occasion by the architect and made up of tailor-made products, is dedicated to a different hotel chain with the aim of making concrete the mix between the desires and the real satisfaction of the needs of the customers. Visitors and industry experts have become active participants in discussions of significant value and high interest during the Hospitality & Design Forum - a dynamic container for conferences, networking, panel discussions, presentations and exhibitions dedicated to developers, hoteliers, hotel groups, companies , architects, interior designers and real estate consultants. The precious apartment in Puntaldìa under the patronage of ImmobilSarda, is an ethical and intelligent project, which has recounted a new way of imagining architecture aimed at redefining the concept of luxury in accordance with the evolution of the needs of today's man and the fluidity of contemporary living space; a virtual exhibition that during the Fuorisalone showed the visitor the interior of the apartment designed by Simone Micheli and at the same time a permanent, concrete and active show-room where every guest can touch the excellence of the products made and supplied by the companies. 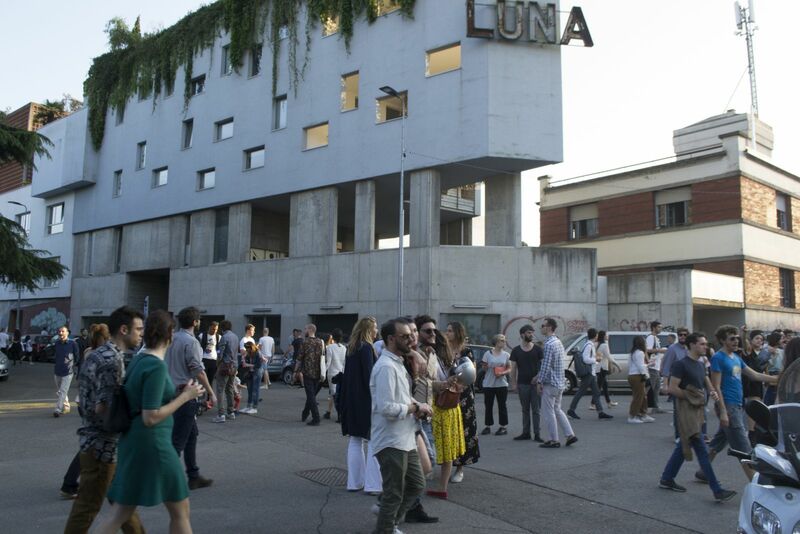 The Lambrate district has also embraced the art world this year, giving space to two dedicated events in the sector. "The Wunderkammer of Michele Vitaloni" at KKM has proposed an important selection of works by the internationally renowned sculptor, presenting for the occasion his new hyper-realistic creations related to the animal world and a new design line created by the artist himself and inspired always to naturalistic subjects. This exhibition is a fusion of Art and Design, which become a single subject linked to the wild world with the processing of different materials that narrate an exclusive way of living the living world. The paintings by Claudio Verganti and the design by Sergio Linzi also took part in the event. At Spazio Lambrate Silencio went on stage, an artistic performance by Andrea Vescovi and Stefano Baldini curated by Tommaso Vergano. Silencio is a project without a project, art without music, music without art: only a show in the purest and simplest state. He wants to tell the current society of the show through an audio-visual performance, criticizing the spectacle and the excessive accumulation of stimuli. The artisan design then became a space between the events of the district, landing at REDROOM, the living room of the handmade Lambrate. For the 2018 Fuorisalone focus on self-produced design with natural and alternative materials: an exhibition created ad hoc in collaboration with the designer of Pig'Oh ideemateriali, which on Friday 20 moved his workshop to Lambrate for a day. 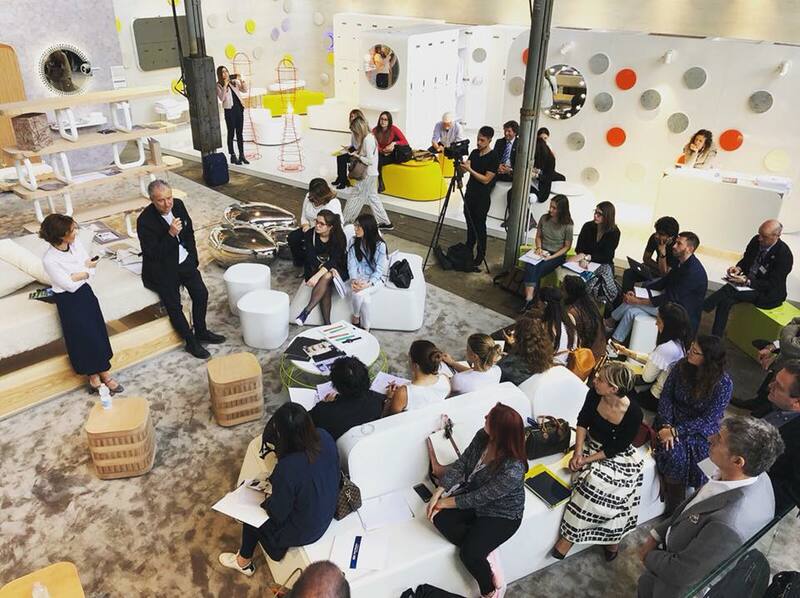 On Thursday 19 April at 4.30 pm in the Lambrate Lighting District, D & R - Design & Retail took place, a meeting on new solutions for Retail, today stimuli and indispensable tools for lighting designers who are attentive to the "customer experience". The new technologies, from the IOT (Internet of Things) to the Li.Fi (Light - WiFi), allow to create more and more emotional designs that through controlled and interconnected applications, are able to tame and shape the light for the creation of atmospheres unique. Marco Frascarolo - (Lighting Designer - Professor of Architecture Department - Uni Roma Tre - AIDI - Italian Lighting Association) and Walter Lutzu (Lighting Designer - Vice President AILD - Italian Lighting Association) will take part in the meeting. However, the district wanted to offer its visitors space to interact, an exchange of ideas and synergies between employees in the sector. For this purpose SHARED HOUSE was born: CO-DIVIDUAL Architecture, conceived as a space off of the Milan Triennale within the exhibition organized by Stefano Mirti entitled "999 questions on contemporary living" in progress from 12 January to 6 April 2018. If the twentieth century celebrated in-dividualism, we believe that the twenty-first century will be the century of co-dividualism, or the rediscovery of community bonds, spaces for being together, places to weave new possibilities for meeting. The interest is born to try out a new housing typology: the shared house, that is a house with common spaces conceived as a result of warm and simple, funny and contemporary design reflections where people who will use in a short and temporary way this house in addition to their room they have generous common spaces where they give life to a start-up, where they can cook together, where they can experiment with new ergonomics and uses of public space in the private space. In the space of Via Ventura, 3, in addition to experimenting with new practices of being together, it is expected to host debates, meetings, exhibitions of objects and photographs. SHARED HOUSE: CO-DIVIDUAL Architecture is the result of a collaboration between FARM CULTURAL PARK and its founder Andrea Bartoli, LAPS ARCHITECTURE by Salvator-John A. Liotta and Fabienne Louyot, A14HUB, POLITECNICO of MILAN for which the prof. Marco Imperadori. In April Art&Bike was also inaugurated at Spazio Industriale, in its suggestive street-level structure that articulates interiors and exteriors perfectly accessible to people with mobility difficulties, the Spazio Industriale hosts for the Fuorisalone 2018 realities that combine design, fashion, passion cycling and eco-technologies for the bike. An important protagonist of this location was Zehus SpA, with its innovative design projects applied to the bike and the GilcoLab Art & Bike which, in addition to its display of unique pieces based on an original Gilco design, presented a new proposal for ultralight design tubes of furniture. Also installations by young designers. Also linked to the world of bicycles is OFO, the world leader in fixed-bike-sharing founded in 2014 and based in Beijing, China. Present in the district with a dedicated station inside the Din - Design In shed, as the district of Lambrate will be part of the unmissable stages of the cycling persecution organized within the city. The events were finally animated by author food trucks, designed specifically to offer visitors an increasingly complete experience. In particular WEating in the internal garden of Din - Design In, Just Streat Week - Street Food Experience at Ventura Garden and RE_Generation Food. The enormous dynamism of these events has made the heart of the Lambrate Design District a pulsating and engaging one. The owners of the locations, as well as the organizers of the individual events, have worked hard to give the visitors a unique experience, investing a lot in the neighborhood, believing in its potential not only for the Fuorisalone, but for the whole year .